A really good grilled pork tenderloin is hard to beat. But if simply grilled meat isn’t quite meeting your preferred spice level, then topping it off with this pickled jalapeño salsa should do the trick. 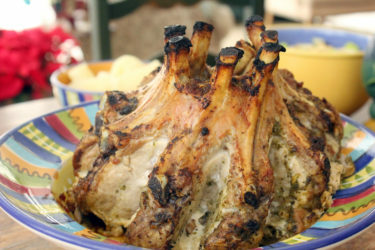 The meat itself is marinated with jalapeño brine (the juice from the picked jalapeños), then you dress the cooked meat with the jalapeño salsa, so every inch and every bite of your pork has some spice and a ton of flavor. The actual cooking time isn’t too crazy, about 20-30 minutes total. The trick is to let the meat marinade for about 4 hours prior to cooking—that’s where all the flavor gets locked into your pork. 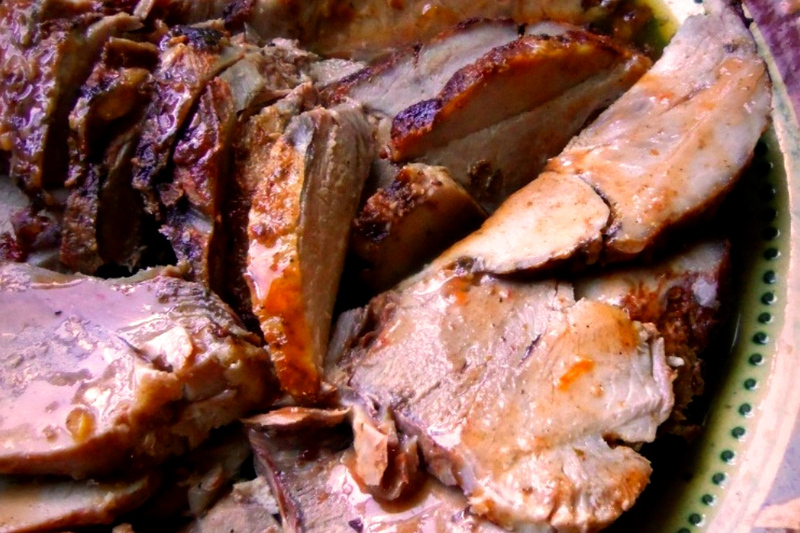 Is there anything quite like slow-roasted pork? Juicy, succulent and fork-tender, it doesn’t get any better, especially when you infuse the meat with a sauce that combines the tangy flavor of sour orange and the smokiness of chipotle. 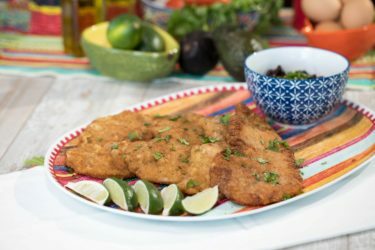 You can save this recipe for a holiday or celebration, or just choose a night to wow your family and friends. Your call! Pork chops = good. Plain and simple. 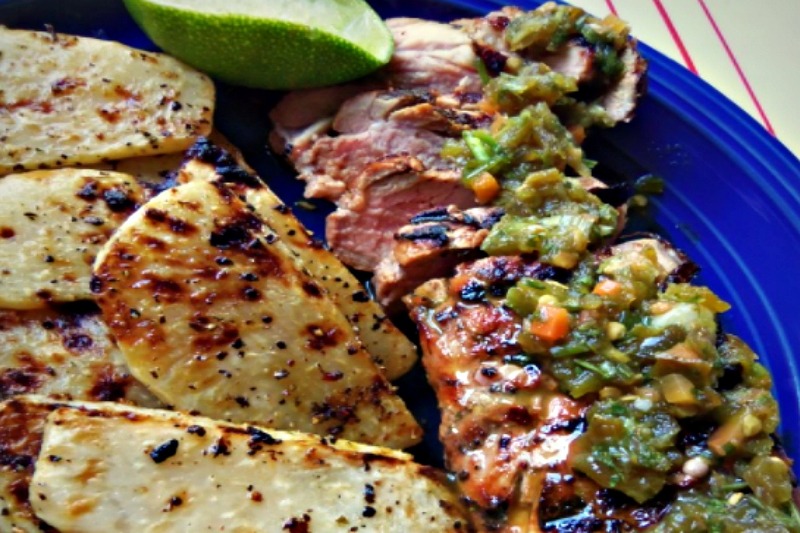 Pork chops marinated in a spicy Serrano pepper sauce = REALLY, REALLY good. Even if you’re not a huge fan of cilantro, you can swap that particular ingredient with your favorite fresh herbs. 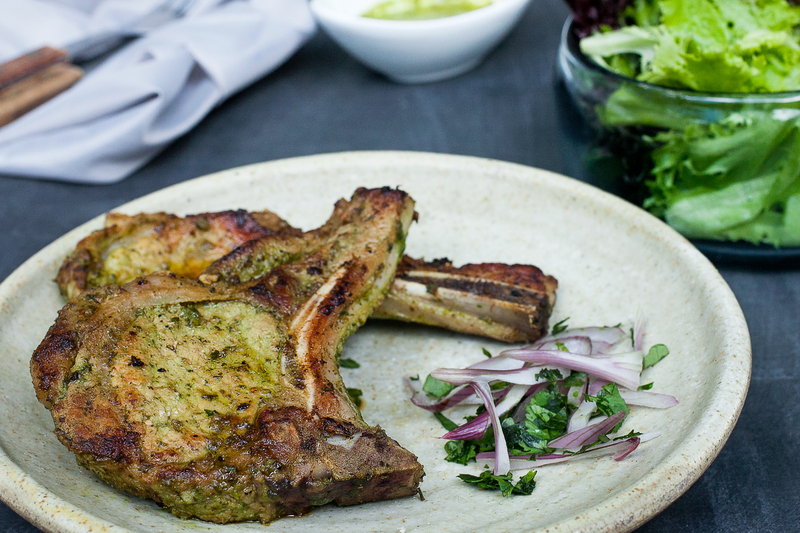 Make sure you prepare the marinade in advance and let your pork chops soak in that sauce for a solid 2-4 hours to ensure they are as flavorful as possible. The marinade time is really where you’ll need to be patient; the actual cook time is fairly quick, only about 4-5 minutes per side. And yes, you’ll want to serve this with some extra sauce on the side. People love it. These days we are huge fans of any dish that involves one pan—easy preparation, easy cleanup, resulting in a tasty dish to devour. Everyone wins. These pork ribs are the one-pan pork dish we’ve been looking for. 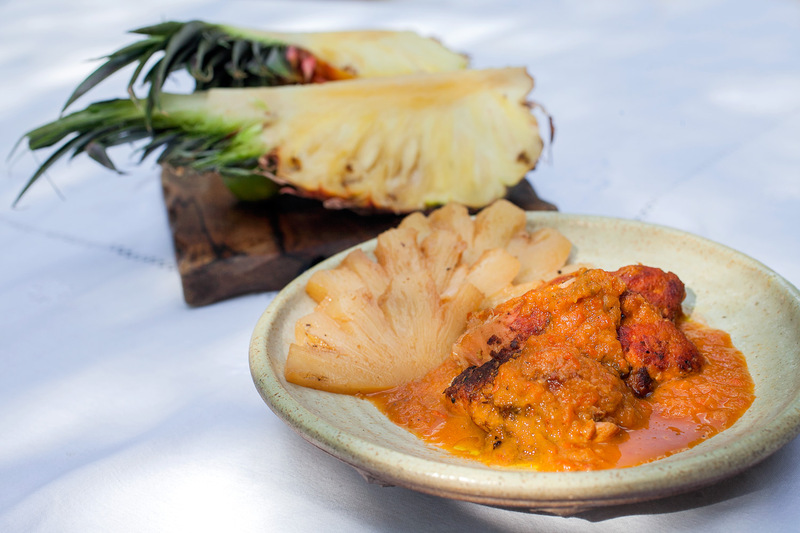 They have just the right amount of spice thanks to its chile ancho sauce, which is balanced nicely by the sweetness of the pineapple. Everything is cooked in one pan, which goes back and forth from the stovetop to the oven (so make sure it’s an oven-safe skillet). In the end, you get pork ribs that are tender, juicy, spicy and sweet. 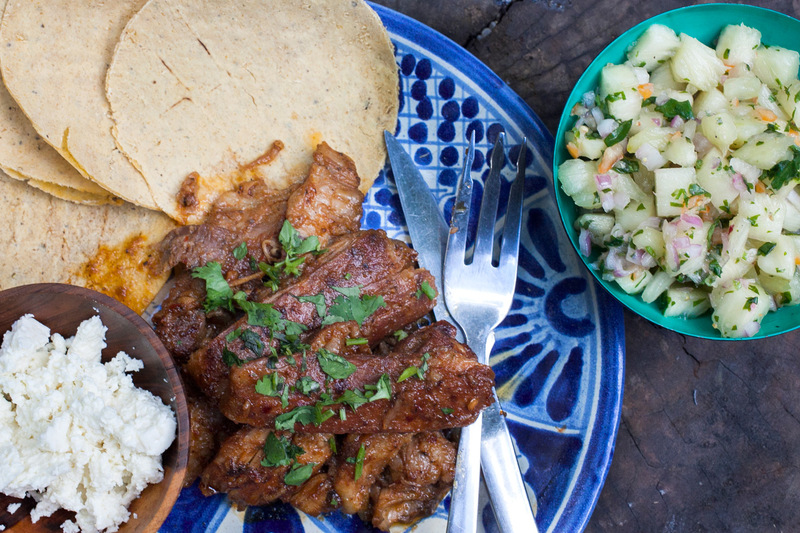 If you love ribs and you love tacos then you will love this recipe. 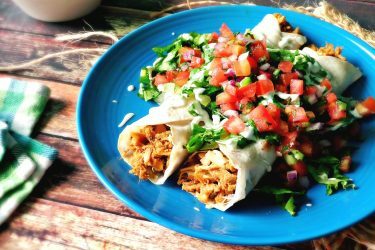 While the recipe requires a few more steps than your typical taco dish, it’s well worth the effort and wait. These ribs are covered in an adobo sauce that offers just the right amount of spice. If you really want your meat bursting with flavor, make the adobo marinade the day before and let them sit overnight; trust us, it’s worth the extra prep work. Once the meat is cooked, it is topped off with a chile glaze that is equal spicy, tangy and sweet. The final touch to your taco is a pineapple salsa that uses habanero and jalapeño peppers (aka it’s spicy). These tacos are unforgettable.